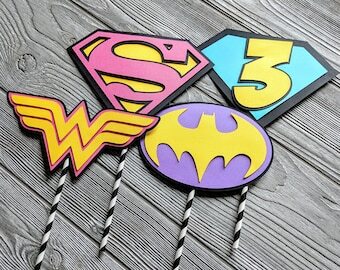 Please provide the name(s) and age(s) you would like on the Birthday Banner and Centerpiece. 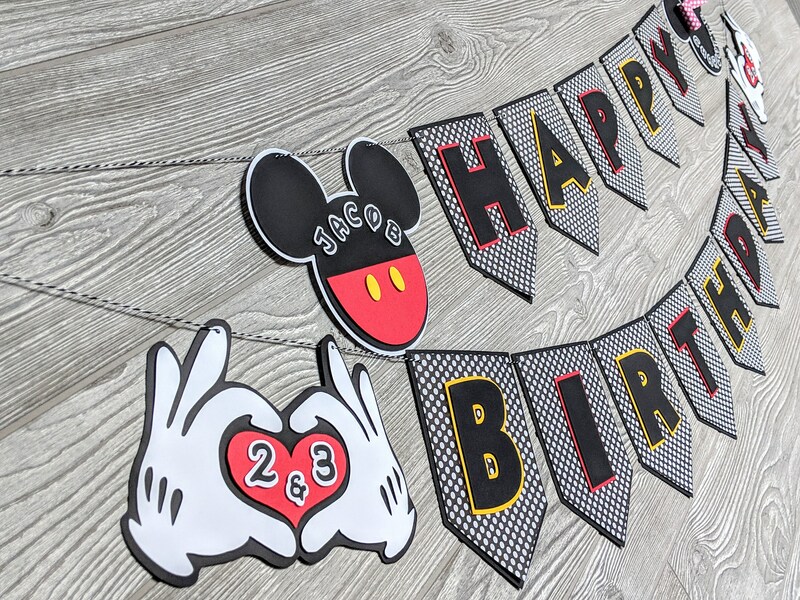 Each banner comes with a Mickey and Minnie silhouette that can be personalized and used on each end of the banner. Each banner also comes with Mickey hands making a heart symbol that can be personalized with the appropriate age. If you have a different color scheme in mind, please let me know, and I will do my best to fulfill your needs. This design adapts well with just Mickey Mouse or just Minnie Mouse or Red and White Minnie Mouse details. Custom orders are always welcome. If you would like to add a matching name banner, for an additional cost, please message me the name, and I can provide cost estimates. CENTERPIECE: The sizes of the centerpieces vary, but for reference, the Minnie and Mickey silhouettes are approximately __ in. x __ in. CUPCAKE TOPPERS:The Mickey and Minnie Mouse cupcake toppers measure approximately 2.5 in x 3 in.